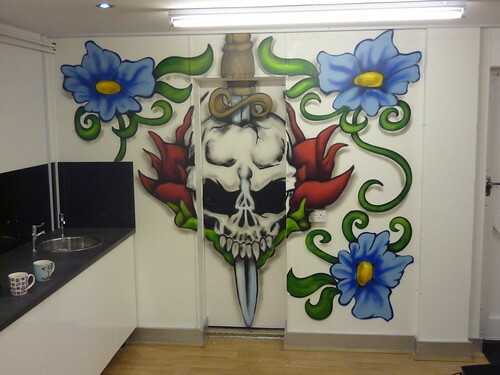 A new tattoo parlour for Church Street Wolverton. 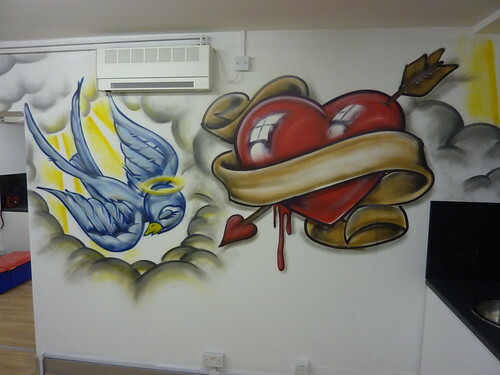 Pete from MK Tattoo knew he wanted the best looking tattoo shop in MK so with no expense spared he began refurbishing an old shop on church street. After replacing everything with new from floor to ceiling he got arkadegraphics in to finish the job properly. I can honestly say of all the jobs i have done lately, it was the one I’ve enjoyed doing most. Big shouts too Pete,Hev and all the crew down at MK Tattoo. Thanks a lot. 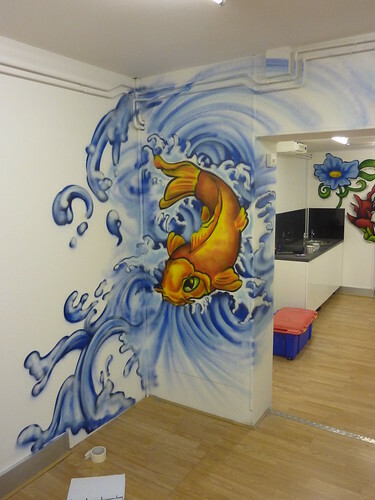 This entry was posted in Artwork, Commissions and tagged best tattoo's in milton keynes, graffiti in tattoo parlour, graffiti tattoo, graffiti'ed tattoo's, mktattoo, tattoo graffiti, tattoo parlour in mk, tattoo style graffiti, www.mktattoo.co.uk. Bookmark the permalink.